Sometimes you just need a break from the public beaches, and the best way to enjoy that break is at your own private pool! 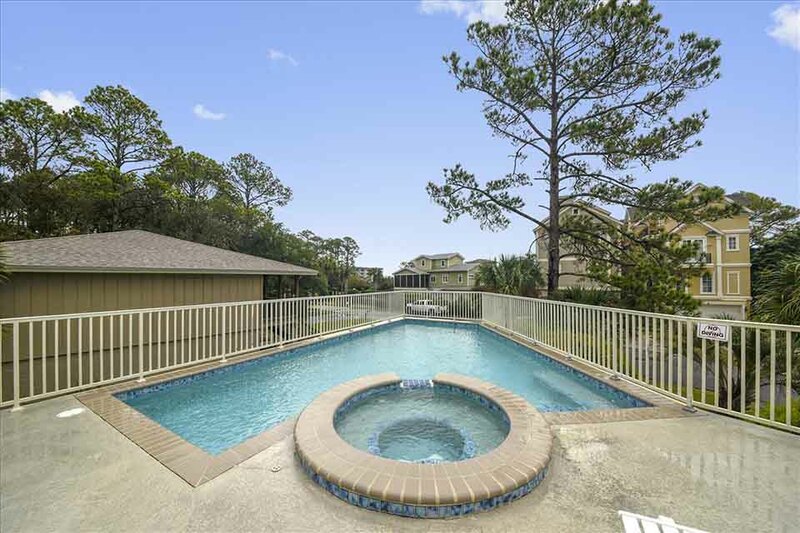 Hilton Head vacation homes with private pools are perfect for families seeking a little more privacy, and those who want the freedom of taking a dip whenever they want. Imagine watching a beautiful sunset and enjoying a cocktail while you dip your toes in the water - what a treat! We've picked out some of our favorite Hilton Head vacation properties with private pools so you can start planning your holiday today. 3 Urchin Manor is a treat for those seeking luxury amenities, a great location and beautiful views. This 6 bedroom Hilton Head vacation home can sleep up to 18 people and offers a large private pool and hot tub. 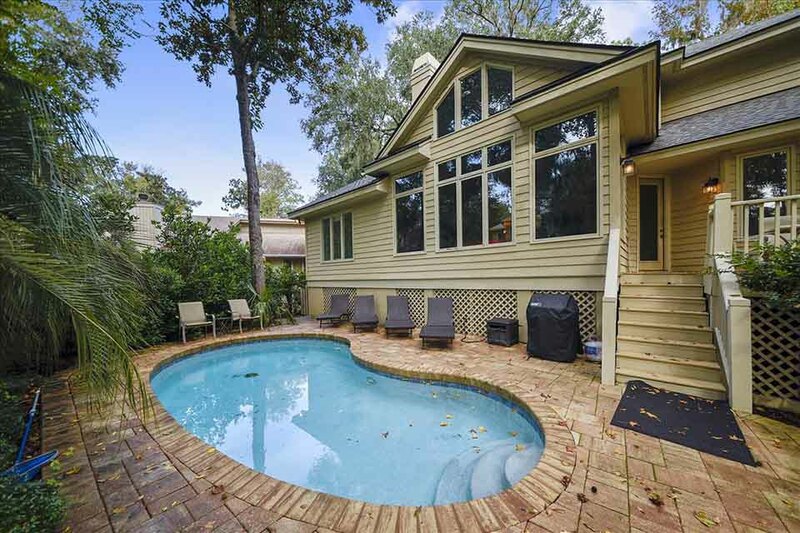 This gem is located in the Burkes Beach area of Hilton Head, and is just 1/10 a mile from the beach. You'll love being able to see the Atlantic Ocean and being located mid-island near all the shops and restaurants. 5 Troon Drive is perfect for a larger family vacation or a small group trip. This Hilton Head vacation home is located in the sought-after Palmetto Dunes neighborhood, well known for its golf courses and lagoons. The best part about the private pool at 5 Troon Drive is the lush greenery which surrounds the yard and offers extra privacy. You'll be just minutes from the beach and an assortment of fun activities like kayaking and golfing. 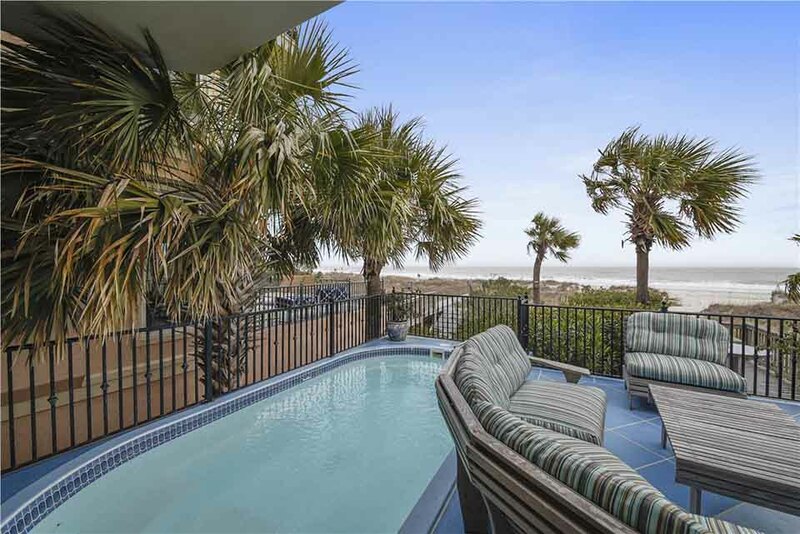 Paradise awaits at 14 Whelk Street on Hilton Head. This 4 bedroom vacation home sleeps up to 8 people and offers 180 degree views of the Atlantic Ocean. In fact, each bedroom has a private balcony looking over the ocean. The private pool is accompanied by cozy outdoor seating, so that the whole family can enjoy some time together. When you need a break from the pool, you'll be just steps from the beach and ocean! Whether you're planning a family retreat, golf outing or girls' weekend, 31 Sand Dollar Road is the perfect fit. 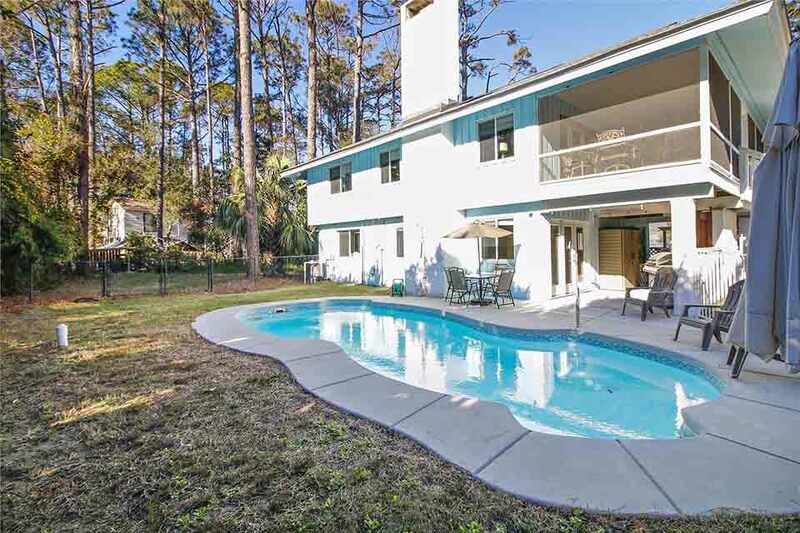 This 2 story Hilton Head vacation home offers a large private pool and a spacious yard. You'll be located in the Folly Field area, which is close to restaurants, putt-putt golf, shopping and more. The best part? This vacation rental is pet-friendly so you don't have to leave your furry friend behind. If the above vacation homes don't suit your needs then please check out our huge inventory of Hilton Head rentals with private pools. We're sure you'll find the perfect match with Vacation Homes of Hilton Head. Plan the ultimate Hilton Head holiday with our guide to the Best of Hilton Head. We offer details on the most exciting local events and activities the area has to offer. If you have any trouble finding what you're looking for please contact us.